A seasonal twist on our ever-popular flower crown making parties keeps this activity fresh and fun all year round. 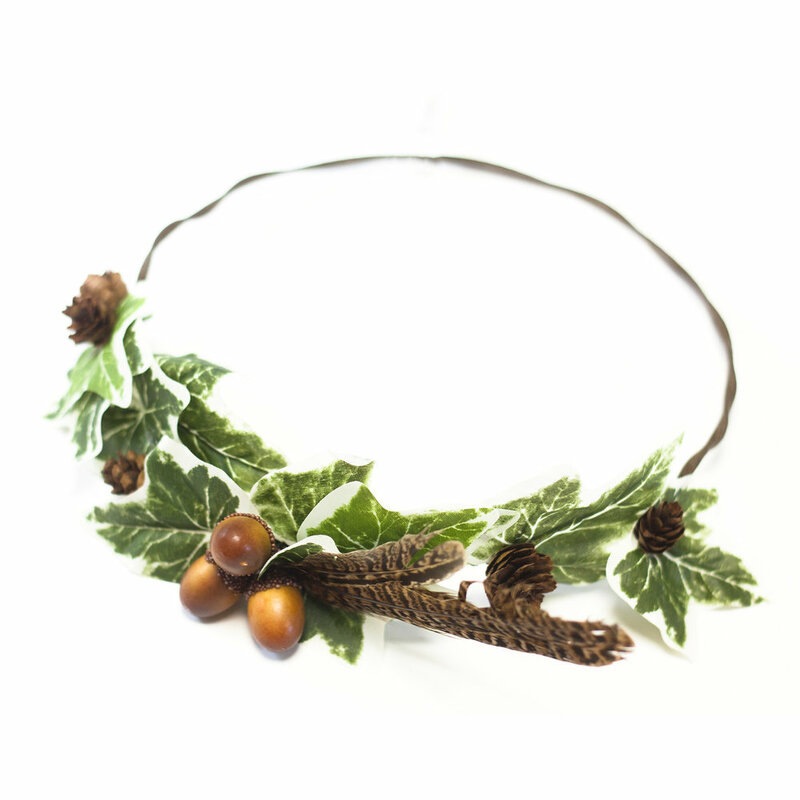 Whether you know a Bride planning an Autumn wedding for whom a beautiful seasonal crown would be the icing on the cake (so to speak) for her or her Bridesmaids to wear on the big day. Or you are planning exciting Winter solstice festivities and want to celebrate all the things nature has to offer at this time of year. This autumn and winter inspired crafty party could be the one for you! Our flower crown and autumn winter crown making workshops are great experiences to enjoy for special celebrations like hen dos, as well as for alternative team building treat days and immersive marketing events. Plus everyone comes away with a handmade keepsake of the occasion that they can wear there and then. As with our standard flower crown session, the seasonal version is booking up quickly and already fully booked for September / early October. So if you think this seasonal crafty party would be a great group activity for a hen weekend, or marketing experience in the coming weeks, get in touch today to check availability and find out more!